Rushdale Street runs off Ferntree Gully Road, between Stud and Scoresby Roads. If coming from Scoresby Road on Ferntree Gully Road you can enter via Rushdale Street. Alternatively follow Ferntree Gully Road to Henderson Road and turn left into Rushdale Street. If you are travelling from Stud Road on Ferntree Gully Road, turn right at lights onto Henderson Road after Bunnings & Masters. Rushdale Street is the first and only street to run off the left of Henderson Road. 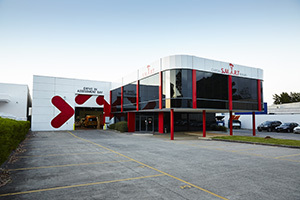 The S.M.A.R.T Centre is located two buildings along on the right hand side. When dropping off your car enter the roller door of the centre and park in the dedicated assessment bay where Customer Care will greet you.